Providing a distinctly unique wedding day setting for beer-loving couples, Golden Road Brewing stands apart in the Los Angeles wedding venue scene. Brewing and canning their own Point the Way IPA, Golden Road Hefeweizen, Get Up Offa That Brown and Wolf Among Weeds IPA, Golden Road Brewing is also a leader in the experimentation of seasonal and limited-edition brews. 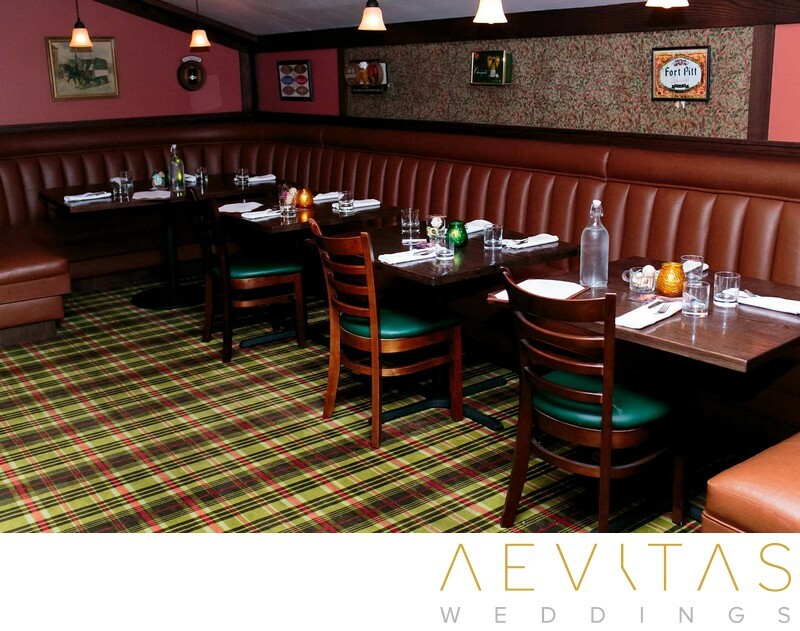 Their private event space, Chloe’s, is situated just behind their main pub and offers an exclusive venue for couples wanting to host a lively wedding reception. The two story venue is ideal for intimate celebrations, with the dimly-lit bar inviting you to party well into the night with a live DJ and dance floor. There are lots of eclectic spaces for your guests to relax or play a game of pool or a board game, and some charismatic settings (such as the brewery barrels) for couple portrait sessions. A projector is available if you want to screen photos or videos of your blossoming relationship for your wedding guests, as well as the opportunity to add in your own personalized decor to the space. In addition to having its own beers on tap throughout your reception (as well as a range of other beverages) Golden Road Brewing provides all catering on-site and their dedicated manager will help you plan all aspects of your wedding event. Rather than a formal sit-down meal, Chloe’s is designed for a casual, cocktail-style event, with appetizers passed around throughout the evening and a menu that caters well to vegetarians, gluten-frees and meat lovers alike. With no site fee and economic pricing on their catering and beverage packages, Golden Road Brewing is a great place to celebrate your wedding nuptials for couples on a budget. The relaxed ambiance and beer-inspired setting, combined with Golden Road Brewing’s extensive event experience, make for a stress-free and unforgettable wedding reception party.